Whether you’re working on the plumbing of a property or conducting a thorough clean out which will result in a lot of scrap metal being produced, you’re probably thinking about hiring a skip. After all, it’s the easiest way to dispose of your scrap metal, right? However, there are some considerations to keep in mind before jumping in and hiring a skip for your project. 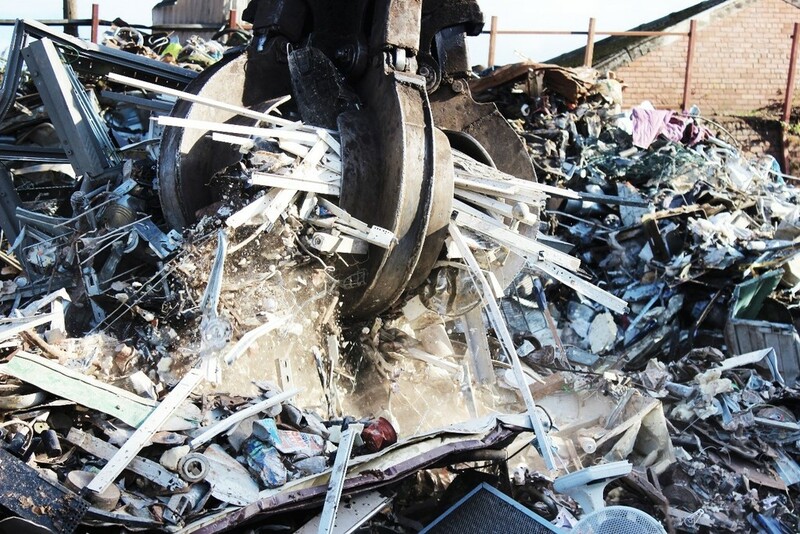 Here at Morecambe Metals, we provide a comprehensive scrap metal collection service which can be a better option for many – especially if you need bulk collection. So, as a tradesman, should you opt for skip hire or a full scrap metal collection service? And what do you need to know before using either? WILL YOU FILL IT ADEQUATELY? If you aren’t expecting to shift a lot of scrap metal, you may not need to get a skip. Collections of scrap metal depend on the volume of material, value and logistics and we will only recover a collection if the box or bin will be filled. 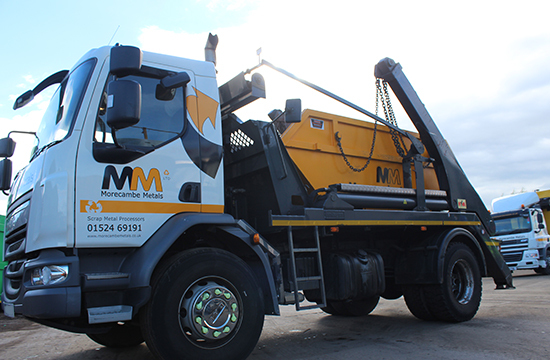 However, at Morecambe Metals we do have a variety of skips, bins and containers which range in size – from one cubic yard battery boxes to fifty cubic yard rolonof bins. If you only have a few items which are made of metal which you need to dispose of, we would recommend other solutions for you. It will most likely work out to be more cost-effective for both parties. Skips can be a great solution if you are helping with the renovation of a building and need to dispose of and recycle an entire central heating system, for example. If you are also collecting items which aren’t worth much and you aren’t expecting to see a financial gain, then a skip could be a better option. Keep in mind your carbon footprint when deciding whether you need to hire a skip or opt for a full metal collection service. This will help us keep our reduced carbon footprint as we won’t need to make as many trips to pick up half empty skips! WOULD A ROLONOF BIN BE BETTER? Depending on the scale of the project that you’re working on, a skip may even be too small. Rather than hiring multiple skips to house all the scrap metal you have, we have a solution which would be more cost-effective– rolonof bins. These huge containers are a great option to store vast amounts of scrap and can be found in sizes from 15 to 40 cubic yards. Because of their size, it is essential that there is enough room for these bins to be situated out of the way, but still have enough room for the vehicle dropping them off and picking them up to manoeuvre. If you have a lot of bulky, scrap metal waste, why not consider a rolonof bin instead? Not only will you be saving money on recycling costs as you won’t have to hire multiple skips, you’ll also be helping us save the planet by, again, making fewer journeys in our vehicles to pick the unit up! It is worth knowing that rolonof bins are not allowed to be stored or placed on public highways due to their sheer size, so please don’t hesitate to have a chat with us if this may be an issue that you would encounter – we will be able to find you a more suitable solution. Here at Morecambe Metals, we are experts in scrap metal recycling – no matter whether it’s ferrous or non-ferrous. We deal with a wide variety of industries and can even help tradesmen and domestic customers become more environmentally friendly with our metal recycling service. Our scrap metal collection service could be of great benefit if you are in the process of a project which may involve a larger amount of metal. Whether you are renovating a house or replacing a heating system (which includes quite a bit of metal) then we would be able to provide you with a suitable solution for disposing of the metal. We have a fleet of wagons to ensure that we can provide the perfect solution for all types and quantities of scrap metal. Ranging from small units to larger rolonof bins and even a flatbed wagon with a crane, we are certain we have the scrap metal collection skip for your needs. For more information, please don’t hesitate to get in touch with us today – we’ll be more than happy to help you with your enquiry.